Have you ever enjoyed an ongoing spiritual friendship with a wise, mature Christian who is prepared to walk beside you, believe in you, pray for you, encourage you and challenge you not to give up? Soul Friend is an honest and intimate portrayal of the author's own journey with her wise, spiritual mentor and the warm, life-giving relationship that developed between them during their fifteen years of meeting together. This story is written in the hope that it will inspire many not only to seek out such a spiritual friendship for themselves but also to provide such a friendship for another. 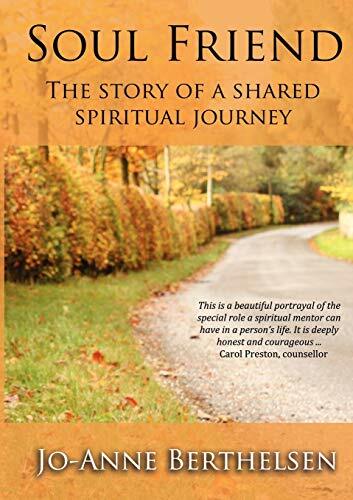 <i>Soul Friend:The story of a shared spiritual journey</i> is my first full length work of non-fiction and hence has been quite a different journey from those I experienced when writing my five previously publishing novels. While I am still telling a story in Soul Friend, this time it is my own--and all true! I&nbsp;could not&nbsp;hide in one of my characters as I did on occasions in my novels. Instead my inmost thoughts are out there on a plate for all to see. So this has been a challenging experience at times--one in which I had to decide how vulnerable I was prepared to be. By being as honest and open as I have, however, I trust my readers will be helped and encouraged in their own spiritual journeys.